SkinCareProStore.com - Free Shipping! : New Rhonda Allison Arrival !! New Rhonda Allison Arrival !! With a neutral aroma using only cucumber extract and fruit oils for scent, GENTLE MILK PLUS is a therapeutic daily wash for many skin types including rosacea, burned, adolescent acne, aged, thin, and cancerous skin. 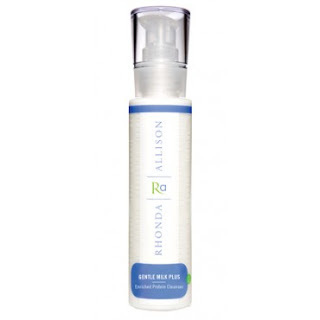 Providing very mild antiseptic support and a more alkaline pH, this protein cleanser also aids in soothing skin rashes and reducing irritations and sensitivities. Enhanced with a new, organic foaming peptide, Gentle Milk Plus also makes the ideal wash to use during post peel, laser, and micro treatments – perfect for summer facials, dry winter skin, or any soothing, healing treatment. I want to buy one but it is too expensive to me. And whether it is worthy to own it.